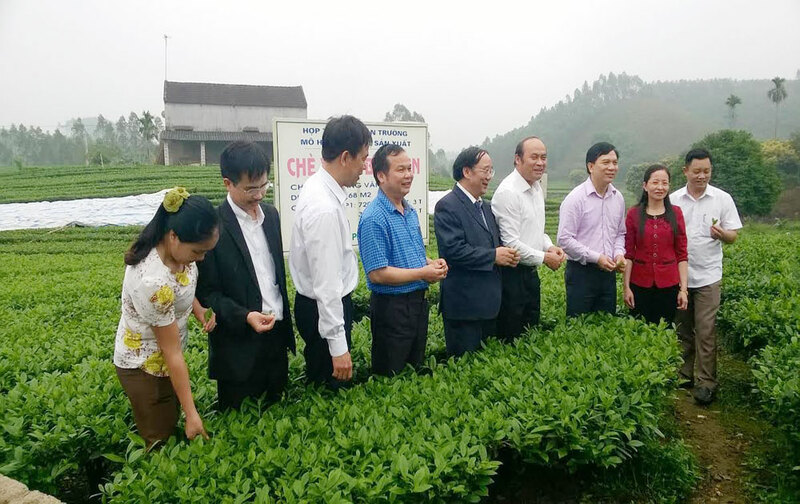 (BGO) – Bac Giang’s Committee for Religious Affairs is carrying out a project to assess the status and propose solutions to develop community-based tourism and preserve cultural values of local ethnic minority people in Xuan Luong commune, Yen The district. Accordingly, the committee is conducting studies on the status of natural resources, landscapes, environment and culture in Xuan Luong. Based on the studies, they will outline recommendations to develop a suitable community-based tourism model in areas inhabited by ethnic minority people and zone off areas for growing its specialty plants and animals for tourism purposes. The project will run until the end of 2017. Xuan Luong boasts huge potential and strength for developing ecological and spiritual tourism and community-based tourism. It is renowned for Ven village’s green tea, Nga waterfall, Xuan Lung communal house and the one-thousand-year-old lim tree.